Although a little more AAA than our usual Stark offerings, we've always been drawn to the amazing catalog of Patty Griffin material. How could you not be? 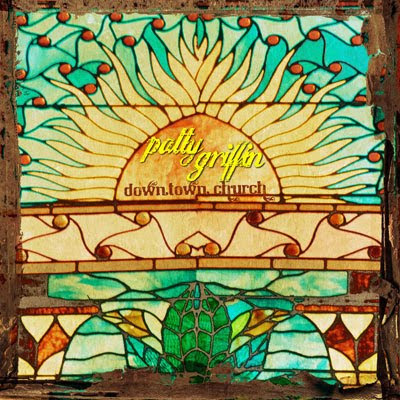 Tomorrow (1/26) Griffin returns with Downtown Church, her new album recorded in a Civil War era Nashville church with Buddy Miller producing and playing in the band. Downtown Church also features guest spots from: Emmylou Harris, Raul Malo, Jim Lauderdale, Shawn Colvin, Mike Farris,Julie Miller as well as Regina and Ann McCrary, whose father was one of the founding members of the legendary gospel group the Fairfield Four. To celebrate the release of Downtown Church, on January 27, EMI/Credential will be hosting a live online event. Patty Griffin will be broadcasting via Livestream from her studio on January 27th at 7pm CST. She will be performing a few songs and taking question from the online world, all live from the studio. A link to the broadcast will be posted HERE.